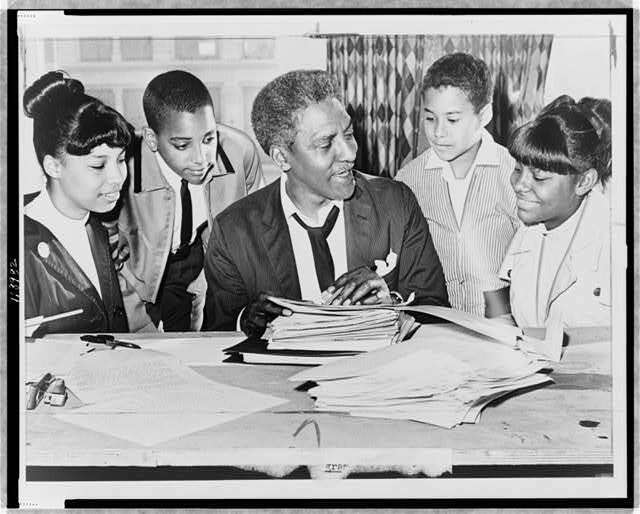 Bayard Rustin, a nonviolent activist for peace and integration, inspired critical debates within SNCC. “My activism did not spring from being black,” he explained, “Rather, it is rooted fundamentally in my Quaker upbringing and the values instilled in me by the grandparents who reared me.” Rustin fought against the system of racial inequality that undermined the “oneness of the human family.” As an openly-gay Black pacifist, discriminated against by American society, he had to fight against marginalization within various civil rights organizations as well. Nonetheless, Rustin was important to the early development of SCLC, going to Montgomery, Alabama in February 1956 to instill in Martin Luther King Jr. a deeper understanding of of nonviolence as a way of life, as well as a political tool. He was close to Ella Baker and with her, co-founded In Friendship, a New York-based organization to support local southern leaders being battered by economic reprisal as they struggled against segregation and fought for voting rights. At the 1964 Democratic Convention, Rustin fell out with SNCC and the Mississippi Freedom Democratic Party (MFDP). Although he wanted the MFDP delegation seated, he felt the compromise of two at-large seats offered by Democratic Party leaders was a victory. Rustin urged the group to take the small concession. At a heated meeting at Union Baptist Church, Rustin said, “When you enter the arena of politics, you’ve entered the arena of compromise.” His position put a lasting wedge between him and MFDP members and SNCC activists. Rustin campaigned for Johnson’s reelection, further isolating himself from SNCC’s critical stance on the white-majority Democratic Party. He greatly feared a Goldwater presidency and sought a moratorium on civil rights demonstrations until the election. SNCC and CORE refused, reminding him that he was going against his own activist history. In a February 1965 article in Commentary magazine, “From Protest to Politics,” Rustin challenged SNCC’s growing alienation from the liberal establishment, especially the Democratic Party. He stood by a political strategy of integration into existing parties. Rustin’s political tension with the young activists whom he had been so influential was one of the early signs of the splintering of consensus on the priorities of the Movement. 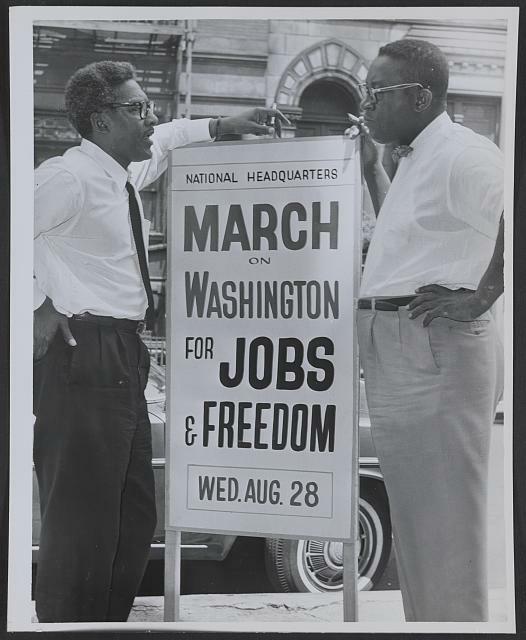 Jerald Podair, Bayard Rustin: American Dreamer (Lanham, MD: Rowman & Littlefield Pub., 2009), 76-79. Bayard Rustin, Time on Two Crosses: The Collected Writings of Bayard Rustin, edited by Devon W. Carbado and Donald Weise (San Francisco: Cleis Press, 2003). Interview with Stokely Carmichael by Judy Richardson, November 7, 1988, Eyes on the Prize II, Henry Hampton Collection, Washington University. “MFDP Challenge to the Democratic Convention,” Civil Rights Movement Veterans Website, Tougaloo College.